The B-pillar less multi purpose vehicle Ford B Max will be available on order in the European country Romania from the coming March 23. The delivery of Ford B Max is expected to commence in the month of July or August this year. Whereas India also eagerly awaits the sliding door B Max MPV. The Indian model of this Ford MPV is expected to be priced in the range of Rs 9-10 lakh. In India it will be an affaire d'honneur between the Ford B Max and the class leaders such as Toyota Innova, Chevrolet Tavera Neo3 and hopefully by that time Maruti Ertiga will also be there. The Craiova (Romania) based car will be available for sale to the Romanians and is expected to fetch their confidence with ease. The B-Max is a new Mini MPV by Ford and the concept took birth at the 2010 Geneva Motor Show. The India bound B Max is highly anticipated as the segment is in serious need of a low priced offering that can offer the people of India compared to the like of Mahindra Xylo. Besides the B Max, Indian car buyer is also eagerly awaiting Maruti Ertiga. The announcement regarding the booking of the Ford MPV has been made by Henrik Nenzen, Ford Romania managing director. He also expressed his delight that power, mileage and features of the B Max MPV apart from the newer technology in place in the car will certainly woo a large number of buyers. The announcement came during the unveil of the new version of Ford Kuga and Ford Fiesta ST. 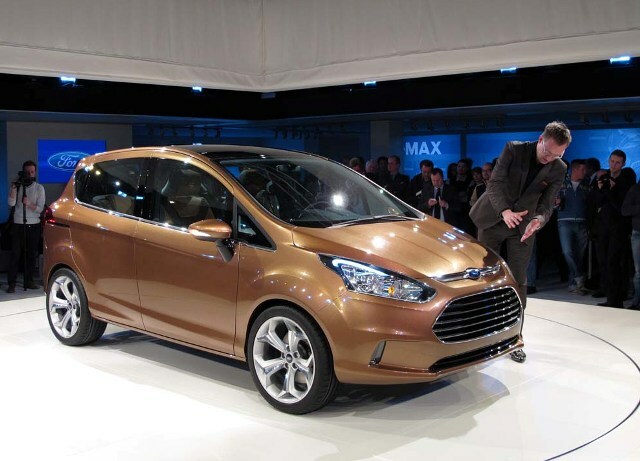 Notably, Ford has also unveiled the Ford B Max at the ongoing Geneva Motor Show. Here in India, Ford has been preparing its ground right for the upcoming mini SUV Ford Ecosport and the mini MPV Ford B Max. Where it has also reduced the price of its flagship sedan Ford Fiesta. The Ford Fiesta now starts at Rs 7.23 lakh.